There is a widespread desire across the country for robust and independent institutions to ensure economic gains are transparently and sustainably managed. The ultimate question for many voters in the 2017 general elections was not who would form the next government, but who would be the most credible leader. With elections now over, and the O'Neill government returning for a second term, what does Papua New Guinea expect of the new government and those in power? This analysis attempts to address how key trends in PNG's politics will impact upon both the bureaucracy and regulatory environment. It will identify some of the key actors and how they are likely to change. It will discuss current political trends, their impact on the regulatory and legislative environments and how likely they are to continue in the future. Finally, it assesses the prospects of continuing dysfunction in PNG politics, the further marginalisation and deterioration of the bureaucracy, and how this destructive course might be avoided. SECTION 1: WHO ARE THE KEY ACTORS IN POLITICS AND THE BUREAUCRACY, AND HOW IS THIS LIKELY TO CHANGE IN THE FUTURE? With mounting allegations against him, O'Neill influenced key political allies and swayed the appointment of key bureaucrats whose loyalty helped consolidate his grip on power. O'Neill's influential political allies include William Duma,  Dr Fabian Pok,  Peter Ipatas,  James Marape  and Mao Zeming. Playing into existing regionalist sentiment within PNG politics, O'Neill maintains a firm inner circle of Highlands MPs  and ensures that controversies involving them are subdued. Other key players in O'Neill's ascension include former Prime Minister Pais Wingti,  Speaker of Parliament Theo Zurenouc, Don Polye,  Patrick Pruaitch,  and Ben Micah. Polye, Pruaitch and Micah were key allies in the early period of O'Neill's government and were rewarded with senior ministerial portfolios until their falling-out with O'Neill led them to the Opposition. Don Polye and Ben Micah lost their seats in the 2017 election. O'Neill's political party, the People's National Congress (PNC), also suffered losses of influential political figures such as the former Deputy Prime Minister Leo Dion, Mao Zeming and Theo Zurenouc. The latter two were critical, as in the past they leveraged support for O'Neill from MPs in the mainland coastal region (Momase). The appointment of Charles Abel as Deputy Prime Minister is an attempt to retain support from the coastal MPs as well as redirect attention from O'Neill to a competent partner. In the last government, O'Neill played a prominent role while the Deputy Prime Minister was almost non-existent on the national scene. However, that is likely to change. Abel has already been proactive in engaging with national issues and will be using his experience in trade and commerce to try and restore investor confidence. While Abel reports to O'Neill, he should be able to influence the Cabinet unlike his predecessor Leo Dion. Being relatively young and from the coastal region, Abel may also challenge and foster consensus among his peers and outspoken MPs in the likes of Gary Juffa, Allan Bird and Bryan Kramer in the Opposition, reducing the attention on O'Neill while presenting a credible image of O'Neill's government. 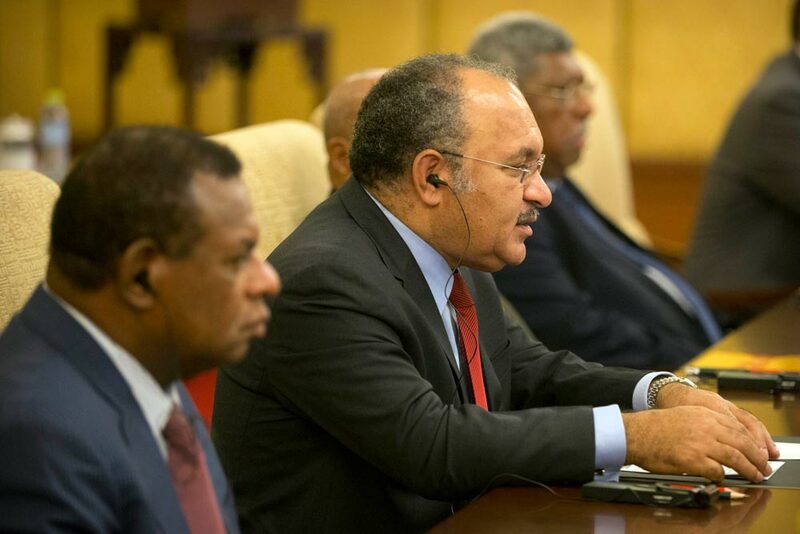 Peter O'Neill has appointed a Cabinet of 33 members, the largest in Papua New Guinea's history. Key Ministers within his Cabinet include James Marape, a loyal lieutenant who retains his finance portfolio; William Duma, a controversial figure who brought with him critical numbers to the government; Justin Tkatchenko, who holds the portfolio of Lands & Physical Planning; and Puka Temu, a leader of the 'Papuan Bloc' who holds the health portfolio. Other key members of government include Sir Julius Chan, a former Prime Minister and Governor of New Ireland province who crucially sided with PNC soon after the election. Job Pomat was also appointed speaker of Parliament, a position which brings with it significant influence. Pais Wingti and Peter Ipatas join Sir Julius Chan as senior politicians providing clan and stability among O'Neill's alliances. Basil's leadership in the Opposition and strong voice on important national issues has initially gained the respect of both sides of parliament. He led the resurgence in one of the oldest parties in Papua New Guinea, Pangu Pati, with the highest number of MPs in The Alliance, and hoped to be nominated as Prime Minister by the opposing coalition camp in the event of a change in government. However, the elevation of Patrick Pruaitch as the Opposition Leader unsettled his ambition leading to his defection to join O'Neill in the government. Since a key campaign platform for Pangu Pati during the 2017 national election was to remove O'Neill, Basil's defection together with 14 other Pangu Pati MPs, appeared to discredit Pangu Pati's image among loyal supporters. But Basil's move may also be strategic to support any move within the government to unseat O'Neill. A common reason provided by all who have defected, including Basil, is the challenge in accessing the electoral development funds as an Opposition MP. While that continues to be an issue, Basil's standing and the timing of his move is disappointing for the resurgent Opposition. The return of Sir Mekere Morauta from retirement to national politics presents a significant threat to O'Neill's continued dominance. Morauta's intellectual leadership and statesmanship inspires unity among the parties opposed to O'Neill. Morauta and fellow Independent MPs have recently joined the Pangu Pati, allowing Pangu the highest number of MPs in the Opposition before the defection of its members to the government. The official position of Pangu Pati is unclear as its members in both the government and the Opposition claim to represent the party. Morauta inadvertently assumes leadership of the Opposition faction of the party. Morauta leads a 'redeeming plan' that starts with the replacement of O'Neill. However, his long vendetta against O'Neill over the PNG Sustainable Development Programme (PNGSDP) funds, which O'Neill has sought to control by removing Morauta as Chairman, may invite closer scrutiny of Morauta's past controversies. Patrick Pruaitch is the party leader of the National Alliance (NA), the second most well-established political party to Peter O'Neill's PNC party and the current Opposition Leader. Founded by Sir Michael Somare, the NA-led government stayed in power for two terms prior to O'Neill's takeover in August 2011. NA is well financed, with close links to foreign logging companies. However, partners in the Opposition doubt NA as trustworthy due to alleged mismanagement of the country during their term in government. It is one of the likely reasons for Sam Basil's defection to join the O'Neill government after Pruaitch was elevated as the leader of the Opposition. It appears the appointment was more out of convenience to keep the NA Members in the Opposition. While NA has publicly stated its opposition to O'Neill during their fallout in February 2017, key elements within the coalition continue to question Pruaitch's leadership. Pruaitch was part of the infamous 'kitchen cabinet', alleged to be responsible for the country's mismanagement during Somare's reign. He was also Treasurer in the final years of O'Neill's first term, when the economy was considerably mismanaged. Newly elected and well respected MPs Allan Bird and Walter Schnaubelt promise to instil some credibility in the NA party but this will not be immediate. Another player, Bryan Kramer, is PNG's most influential blogger with a significant social media presence due to his anti-corruption campaigns. Elected for Madang Open, Kramer is likely to be a leading voice for reform while engaging directly with the public on the inner workings of parliament and the government systems. Which 'camp' has the numbers to form the new government? What can I gain from joining a 'camp'? The process of choosing the Prime Minister continues to be undermined not only by accusations of manipulation and inducements but increasingly it tends to be about what the MPs gets in return for their support, not the people of Papua New Guinea. With a high level of fluidity in MPs' movements, this trend only adds to the anxiety that in PNG politics, 'there are no permanent enemies or friends, only permanent interests'. The Chief Secretary to the Government, Isaac Lupari, oversees the entire public service machinery and is one of O'Neill's most trusted allies. He is an important asset for the government, with extensive experience and networks within the echelons of PNG bureaucracy. Using his insights into the public service machinery, Lupari influences O'Neill and his Cabinet in the appointment of departmental heads. Lupari continues as Chief Secretary under the O'Neil government although a potential change in government may affect the pending criminal investigations against him. SECTION 2: HOW ARE THESE ACTORS LIKELY TO SHAPE THE LEGISLATIVE AND REGULATORY ENVIRONMENT? The key legislative and regulatory agencies in Papua New Guinea include the parliament, the police, the Ombudsman Commission, the courts, and departmental agencies such as the Financial Intelligence Unit (FIU) within the Department of Finance. Political actors have been able to influence these agencies with a common purpose of limiting their impact on political and personal agendas. There are weaknesses in each of these institutions, which need to be addressed in order to bolster the integrity of PNG's legislative and regulatory framework. 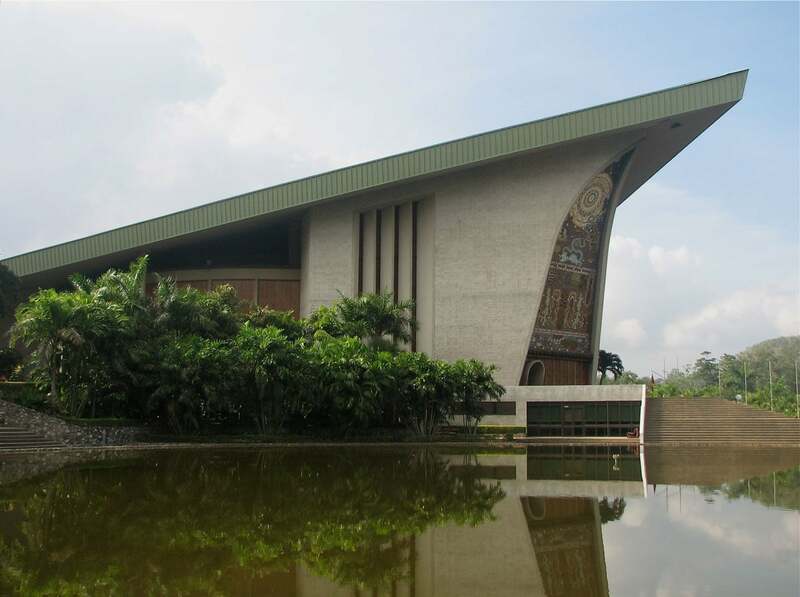 The Papua New Guinea parliament was envisaged to play a 'central role' in shaping the country's democracy both through its law-making function and as the leading forum for debate on national issues. Papua New Guinea's parliament has been complimented for its stability in recent years, but this has come at the cost of robust debate. An attempt was made in 2010 under the Organic Law on the Integrity of Political Parties and Candidates (OLIPPAC) to control the movement of MPs but the Supreme Court declared it to be unconstitutional on the basis that the penalties prescribed under the law against MPs were harsh and oppressive of their freedom to make political decisions. As evidenced by the near doubling of O'Neill's PNC party during its first term in government, this trend will likely continue. The Registry of Political Parties has prepared an amended version of the OLIPPAC but is yet to be passed by the parliament. While the country remains vulnerable to 'party-hopping', some key indicators, however, suggest that this is likely to change over the next decade. First, voters over the years have developed an increased awareness and sensitivity to political parties. In the 2012 elections, Somare's NA party lost more than three-quarters of their seats as voters became distrustful of the party. In 2017, O'Neill's PNC party faced similar challenges, losing almost half of its MPs while some of its serving MPs ran as Independent candidates or even refused to state on their campaign posters that they were endorsed by the PNC. In contrast, newly revived political parties, such as Pangu Pati, campaigned successfully on the platform of being the oldest and reliable political party without the backing of wealth or senior political figures. Despite these trends there will still be a strong focus on election candidates to run as independents so that if they are to win they can 'keep their options open' and extract the greatest benefit from a political party. More than half of the candidates in the 2017 election ran as independents. This discretion allows the executive to influence MPs' behaviour. This trend is likely to continue but will vary according to the government in place. While the system may be unsound and undemocratic, the funds restrain the movement of MPs, thus minimising political instability. Due to strong localised pressure and expectations from tribal, district and provincial forces, a majority of the MPs are committed to representing these interests at the national level than investing in addressing national concerns. This leaves a vacuum for a handful of political elites to take advantage at the national level. As long as they can keep the locally focused MPs 'happy' with what they need for their electorates, then they can have them bandwagon on any policy decisions, legislations or reforms. This behaviour is slowly changing as local expectations are increasingly connected to national issues and as people become more informed through platforms such as social media on the importance of their MPs addressing national issues. But until that is fully realised, local pressures will continue to affect an MP's behaviour, which, at times, can be detrimental to the national interest. Parliament has yet to approve and legislate the proposal. The proposed Court of Appeal hopes to decrease congestion in the court system and increase judges' specialisation, but "staffing such a structure with judges of suitable ability and experience would be difficult for Papua New Guinea alone at its present stage of development". Some fear that an extra layer of the courts may increase unnecessary appeals, already rife in the current system, although this would not be insurmountable for a robust and independent judiciary. The Court has taken an active approach against what it perceives as a 'creeping tyranny' in parliament, when it granted 'standing' to the Opposition Leader and senior public servants in 2014 to challenge constitutional amendments in Court. The Supreme Court allowed former Opposition Leader Belden Namah to prosecute the Manus Island detention centre case after he failed to defeat the constitutional amendment that sanctioned the Australia-PNG bilateral arrangement in parliament. Such is unheard of in comparable democracies but the Court has deemed it necessary against the fundamental inefficiencies of the Parliament. This precedent is likely to continue. In Papua New Guinea, the government appoints the Chief Justice for a term of 10 years, and Chief Justice Injia's term expires in 2018. Despite the contentious relationship between Prime Minister O'Neill and the Chief Justice in 2011, key actors within the O'Neill-led cabinet are likely to vouch for his reappointment. Since the case of Paul Tiensten, a former senior government minister sentenced to nine years imprisonment in 2014, criminal law amendments have increased penalties from the previous maximum of 10 years to 50 years, with life imprisonment for corruption of K1 million or more. Aware of these risks, political actors are wary of criminal investigations, eager to establish closer relations with the police, and interfere in its work where possible. However, the O'Neill government replaced this structure with the Ministerial Executive Appointments Committee chaired by the Minister responsible for the department and comprising other government ministers and public servants. This arrangement is arguably unconstitutional, and suggests a direct political interference in the appointment process. The new arrangement has kept departmental and statutory heads such as the Police Commissioner and the Secretary of Finance and Treasury subservient to the government. Bougainville is due for referendum seeking complete autonomy in 2019 as part of the Peace Agreement. One of the primary conditions for autonomy is for the Bougainville government to exercise control over its own natural resources. However, this has inspired other provinces to seek similar outcomes. Sir Julius Chan, for instance, is seeking some autonomy for the New Ireland province, which will no doubt be given serious consideration considering how important his support was to O'Neill's PNC party early in the forming of government period. There are similar talks among some prominent leaders in the Highlands provinces but Peter O'Neill's ascension has kept a lid on it. The push for autonomy is largely a result from frustrations that the national government has mismanaged the resource revenues and failed to deliver on the expected benefits. It may play into existing regional and provincial fragmentations as well as revive historic secessionist movements. For investors in extractive and natural resource industry, this is likely to pose a challenge. These considerations, however, should not derail Bougainville's referendum. A pressing issue evident in all the elections so far is the perception of voters on whether or not women are capable of representing their interests in a highly contested, predatory and sometimes, bloody political environment. This perception is influenced by factors quite different to those promoting a safe and tolerant political space for women in Western democracies. The Prime Minister promised to revisit the proposal for the 22 reserve seats in parliament which, unfortunately, was not supported by MPs, including the three women MPs, in the last government. The proposal sought to allow each of the 21 provinces and the National Capital District to have a male and female governor. It remains to be seen how the governors of each province, who are often jealous of their powers, will respond to this power sharing arrangement if the reserve seats were to be enacted. The role of the Speaker of Parliament should be better defined and endowed with less discretion. Papua New Guinea should consider a bi-partisan appointment of a non-parliamentarian to be the Speaker. Despite the shortcomings of the Organic Law on Political Parties and Candidates to regulate political parties and movement of MPs within political factions, legislation still remains the best chance of countering the fluid party political system. But increase awareness on the importance of political parties among electors and candidates is positively impacting the behaviour of MPsGuineans. MPs' access to electoral funds is contentious but will most likely remain a permanent part of the political system. The Constitution should be amended to have the funds as constitutional grants, with MPs given the right to seek enforcement if the government fails to equitably manage its distribution. Direct control over district development funds blurs MP's functions as legislators and project managers and raises the possibility of a future constitutional challenge. A province-based inter-agency oversight mechanism should be established to improve the transparency and accountability of expenditure. Lack of proper management of development funds has also created expectations and greater reliance on investors and donors to undertake development work and build infrastructures. While it may be part of the investor's contractual responsibility, it risks encouraging the abuse of public funds. If PNG's bureaucracy is to remain relevant and credible, the appointment of departmental heads should revert to the Public Service Commission as sole appointing body, restoring its constitutional role. Cronyism, as exemplified by the police force, hamstrings the entire system. It has created distrust in the public service machinery, forcing people including investors, to bypass the state system to deal directly with the political elites. It is critical that an independent body similar to the Ombudsman Commission appoints the Police Commissioner with security of tenure so that the Commissioner remains independent from political influence. The proposed Independent Commission Against Corruption looks promising, following its incorporation into the PNG Constitution. While its functions are as yet unclear, it is most likely to have a greater independence and continue the work of Investigation Task Force Sweep (ITFS). 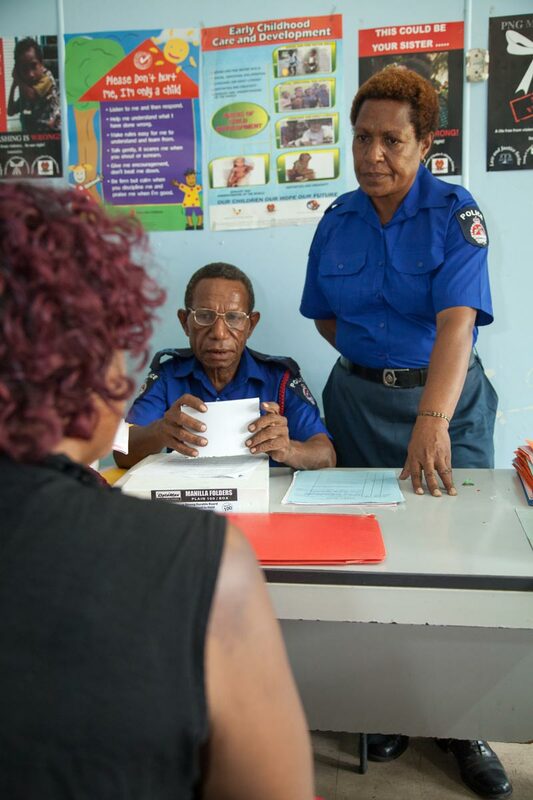 The successes of ITFS in countering corruption remain unparalleled to any anti-corruption agency in Papua New Guinea. Although discredited and rejected by the current government, ITFS' model must be revisited if Papua New Guinea is to successfully combat corruption. There is a real risk that PNG politics will become increasingly dysfunctional under the current structures and conditions. With the threat of a vote of no confidence looming large over any new government, the need to keep coalition parties 'happy' rivals the responsibility to govern. Distribution of the electoral funds (DSIP and PSIP) appears to be the single most important factor in consolidating political power against potential challenges. But misuses of these development funds often create expectations for investors and donor agencies to step in and provide basic government services leading to questions of dependency and sustainability. Underfunded state institutions, with some subjected to internal interferences and overt political sway over of departmental appointments contributes to the decline of current statutory and bureaucratic environment. Over the next decade, investors may be confronted with two narratives - whether Papua New Guinea is increasingly becoming a failing State with a highly predatory elite or whether Papua New Guinea, being a relatively young democracy, is still undergoing a highly complex process of state formation and the issues described here are part of that process. Neither of these narratives offers any assurance except to suggest that these challenges are likely to persist but in varying degrees in the future. However, there are also key indicators that suggest things may change for better as the country heads into 2025 and beyond. First, the people of Papua New Guinea have shown to be highly resilient despite systemic inefficiencies and instability. For instance, during the 2011 constitutional crisis, the country had 'two' prime ministers for nearly seven months, and key accountability institutions were almost inoperable. Yet, the country overall was stable and the Constitution unbroken. Political instability as a result of issues identified here is often contained at the national level. The sub-national and local levels remain unhindered using both formal and informal institutions to aid their governance systems. Second, key accountability institutions continue to demonstrate their resilience amid challenges and political interferences. The courts, the Ombudsman Commission and now the parliament, initially with 46 Opposition MPs - the highest number in the history of the country's parliament - and despite some recent defection, continues to maintain credibility. Choosing to be in the Opposition and missing out on the perks and privileges of being with the government is an important behavioural change indicating commitment to good governance and potential for better leadership in the future. Third, general elections in the last ten years have indicated that voting behaviours are gradually changing. People are increasingly aware of the ill effects of 'money-politics' and unscrupulous political campaigns and are sensitive to the reputations of political parties. These factors have influenced the high turnover of MPs in the last ten years. While the management of the electoral system have been a failure, the voters are increasingly better informed to make good political choices. A major part of this shift is access to contemporary political platforms. Social media is transforming politics from being tribal and disparate to an institution capable of forging collective national interests. Increasingly, prominent political players are accessing social media forums, and are involved in the sharing of ideas and concerns in the hope that a politically informed population will encourage public scrutiny of political leaders. While social media may not translate to effective change, it is a positive influence. It helps shape collective views on critical national issues while dismantling the cleavages that perpetuate cronyism and shelter perpetrators responsible for the country's decline. Having an unbroken Constitution, and regarded as one of the established democracies in the world, Papua New Guinea certainly has the potential to see its democratic project flourish. Strengthening the public service mechanism would be imperative to its resurgence. Over the years, the public service has been reconfigured to make politics its epicentre. Domestic and foreign interests bypass the formal state to deal directly with political actors - further legitimising this reconfiguration. It will require a sustained effort of political re-engineering - re-crafting the institutional rules of the game - to steer the country forward. Current indicators suggest this is possible. With the controversies of the 2017 elections behind it, the largely disenfranchised but resilient population of Papua New Guinea now waits anxiously to see how its elected 'male' leaders will navigate these challenges and bolster the country's democratic resolve. Paul Flanagan, "Papua New Guinea Stumbles to an Election", East Asia Forum, 18 January 2017, http://www.eastasiaforum.org/2017/01/18/papua-new-guinea-stumbles-to-an-election/; Bal Kama, "Some Challenges for Voters in PNG's 2017 General Election", DevPolicy Blog, 23 June 2017, http://devpolicy.org/challenges-voters-pngs-2017-general-election-20170623/. Bal Kama, "Day of Judgement: PNG and the O'Neill Government", DevPolicy Blog, 9 June 2017, http://devpolicy.org/day-judgement-png-oneill-government-20170609/; Cedric Patjole, "K60b in Taxes from PNG LNG Project", PNG Loop News, 18 July 2017, http://www.looppng.com/business/k60b-taxes-png-lng-project-63068; Tabian Ambang, "Progress and the Challenges of Implementing PNG Vision 2050: Reflections from Human Development Index ranking for 2011-2012", Contemporary PNG Studies: DWU Research Journal 17 (November 2012), 83. 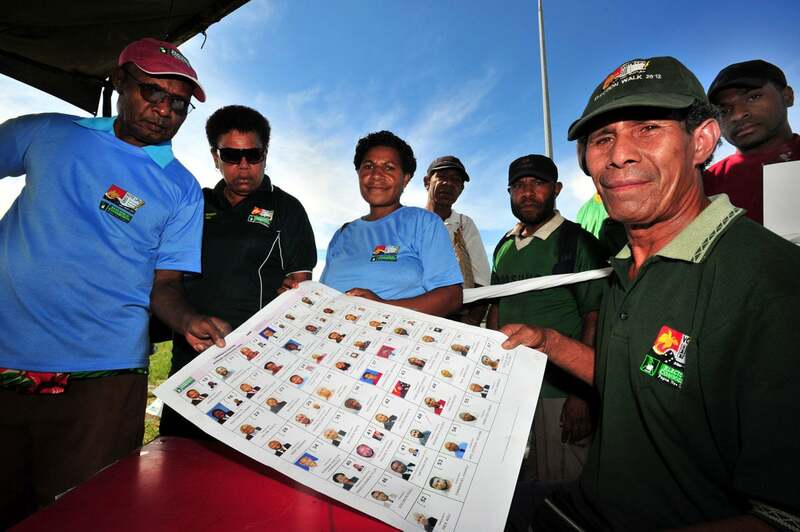 Bal Kama, "The Democratic Project under Review in PNG Elections", The Interpreter, 17 June 2014, https://www.lowyinstitute.org/the-interpreter/democratic-project-under-review-png-elections. Freddy Mou, "Government to Maintain Major Policies: O'Neill", PNG Loop News, 12 June 2016, http://www.looppng.com/content/government-maintain-major-policies-oneill. Bal Kama, "Some Clarification from the Courts in PNG PM's 'Fight to the Very Last Breath'", DevPolicy Blog, 4 July 2014, http://devpolicy.org/some-clarification-from-the-courts-in-png-pms-fight-to-the-very-last-breath-20140704-2/; Liam Fox, "PNG's Chief Justice Arrested in Port Moresby", ABC News, 8 May 2012, http://www.abc.net.au/news/2012-03-06/png-police-arrest-chief-justice/3871250. Parliamentary leader of the United Resource Party (URP). Parliamentary leader of the People's Party. Deputy parliamentary leader of the People's National Congress party and Minister for Fisheries. Ron May, "Political Parties in Papua New Guinea", in Roland Rich, Luke Hambly and Michael G Morgan, Political Parties in the Pacific Islands (2008), 89. Eric Tlozek, "PNG Ministers Suspended Amid Inland Naval Base Corruption Scandal", ABC News, 6 February 2017, http://www.abc.net.au/news/2017-02-06/papua-new-guinea-ministers-suspended-over-corruption-scandal/8245796; Quintina Naime, "Landowners Demand COI to Investigate Manumanu Land Deal", PNG Loop News, 20 March 2017, http://www.looppng.com/png-news/landowners-demand-coi-investigate-manumanu-land-deal-54904. Former Prime Minister and leader of the People's Democratic Movement party. Parliamentary leader of the Triumph Heritage Party. Parliamentary leader of the National Alliance Party. Parliamentary leader of the People's Progress Party. .
 "New Opposition Coalition Forms in Papua New Guinea", Pacific Beat, 9 June 2017, http://www.abc.net.au/news/programs/pacific-beat/2017-06-09/new-opposition-coalition-forms-in-papua-new-guinea/8606086; "The Alliance Seeks Numbers to Oust PNC Rule", Post Courier, 25 July 2017, http://postcourier.com.pg/alliance-seeks-numbers-oust-pnc-rule/. "Prime Minister O'Neill Announces Cabinet", PNG Today, August 2017, http://news.pngfacts.com/2017/08/prime-minister-peter-oneill-announces.html. Mekere Morauta, "Sir Mekere Challenges PM on Corruption", Papua New Guinea Observer, 14 May 2017, https://www.mekeremorauta.net/single-post/2017/05/14/Sir-Mekere-challenges-PM-on-corruption; "Sir Mekere Beckons Independent Candidates", Post Courier, 19 July 2017, http://postcourier.com.pg/sir-mekere-beckons-independent-candidates/. "Who Will Be Papua New Guinea's Prime Minister? ", Radio New Zealand, 22 July 2017, http://www.radionz.co.nz/international/pacific-news/335555/who-will-be-papua-new-guinea-s-prime-minister. "Polye says Patrick Pruaitch is as much to blame on the state of the economy", EMTV News, 3 April 2017, http://www.emtv.com.pg/news/2017/04/polye-says-patrick-pruaitch-is-as-much-to-blame-on-the-state-of-the-economy/; "Schnaubelt: No Talks between NA and PNC Yet", PNG Loop News, 18 July 2017, http://www.looppng.com/elections/schnaubelt-no-talks-between-na-and-pnc-yet-63131. "Polye Blames Pruaitch for Somare's Regime's Fall", PNG Loops News, 29 May 2017, http://www.looppng.com/png-news/polye-blames-pruaitch-somare-regime%E2%80%99s-fall-59850. Data from author's PhD field research in March 2016 shows that senior management at the Department of Justice and Attorney-General regard Kerenga Kua as the most effective Minister in the last 10 years for the Department; "Papua New Guinea Prime Minister Peter O'Neill Axes Anti-corruption Taskforce Sweep", ABC News, 19 July 2014, http://www.abc.net.au/news/2014-06-18/an-png-pm-axes-anti-corruption-task-force-sweep/5533400. Benjamin Reilly, "Political Engineering and Party Politics in Papua New Guinea", Party Politics 8, No 6 (2002), 704; Ron May, "Political Parties in Papua New Guinea", in Roland Rich, Luke Hambly and Michael G Morgan, Political Parties in the Pacific Islands (2008), 83-97. PNG Constitution 1975, sections 142, 145, 146. The Commission of Inquiry into the Department of Finance, Final Report by Commissioners Justice Cathy Davani, Maurice Sheehan and Don Manoa, 29 October 2009, 513, 514, http://www.coi.gov.pg/documents/COI%20Finance/COI%20Finance%20Final%20Report.pdf. Constitutional Planning Committee Report 1974, Chapter 6 , http://www.paclii.org/pg/CPCReport/Cap6.htm. Documented in Supreme Court cases such as Reference by the Ombudsman Commission of Papua New Guinea  PGSC 10; SC1058; In re Reference to Constitution section 19(1) by East Sepik Provincial Executive  PGSC 41; SC1154 (12 December 2011). In re Constitution Section 19(1) - Special reference by Allan Marat; In re Constitution Section 19(1) and 3(a) - Special reference by the National Parliament  PGSC 20; SC1187 (21 May 2012), para 301; Namah v Pato  PGSC 13; SC1497 (26 April 2016). Reference by the Ombudsman Commission of Papua New Guinea  PGSC 10; SC1058 (4 June 2010), . Bal Kama, "PNG Supreme Court Ruling on Manus Island Detention Centre", DevPolicy Blog, 27 April 2016, http://devpolicy.org/png-supreme-court-ruling-manus-island-detention-centre-20160427/. PNG Constitution 1975, s 134 and schedule 1.7. In re Reference to Constitution section 19(1) by East Sepik Provincial Executive  PGSC 41; SC1154 (12 December 2011), [734, 744]. "Evangelical Christian Speaker of Papua New Guinea's Parliament Destroys 'Evil' Pagan Carvings', The Telegraph, 23 December 2013, http://www.telegraph.co.uk/news/worldnews/australiaandthepacific/papuanewguinea/10534323/Evangelical-Christian-speaker-of-Papua-New-Guineas-parliament-destroys-evil-pagan-carvings.html; "Papua New Guinea's Opposition Launches Another Motion for Vote of No Confidence", ABC News, 7 June 2016, http://www.abc.net.au/news/2016-06-07/papua-new-guinea-opposition-launches-no-confidence-vote-bid/7487528. Open Parliament Project, PNG Parliament Performance Report August 2012 - August 2013 (2013), 8 http://www.parliament.gov.pg/uploads/Parliament-Performance-Report-Final.pdf. PNG Constitution 1975, s 145(4). Yash Ghai, "Constitutional Reviews in Papua New Guinea and Solomon Islands", The Contemporary Pacific 2 (1990), 313, 329-330. Yash Ghai (ed), Law, Government, and Politics in the Pacific Island States (Suva: Institute of Pacific Studies, University of the South Pacific, 1988), 247; Bal Kama, "The Supreme Court's 'Vote of No Confidence' Decision: Game On in Waigani", DevPolicy Blog, 12 October 2015, http://devpolicy.org/the-supreme-courts-vote-of-no-confidence-decision-game-on-in-waigani-20151012/. In re Reference to Constitution section 19(1) by East Sepik Provincial Executive  PGSC 41; SC1154, (12 December 2011); Eric Tlozek, "Papua New Guinea's Opposition Launches Another Motion for Vote of No Confidence", ABC News, 7 June 2016, http://www.abc.net.au/news/2016-06-07/papua-new-guinea-opposition-launches-no-confidence-vote-bid/7487528; "Political Marriage of Convenience", The National, 31 May 2012, http://www.thenational.com.pg/political-marriage-of-convenience/. Reilly, "Political Engineering and Party Politics in Papua New Guinea", 707; General Council of the Commonwealth Parliamentary Association, "The Parliamentarian", Journal of the Parliaments of the Commonwealth 8 (2001), 336. Papua New Guinea Registry of Political Parties, http://www.ippcc.gov.pg/. Reilly, "Political Engineering and Party Politics in Papua New Guinea", 706; Patrick Kaiku, "Are Political Parties Ideological? ", The National, 15 April 2016, http://www.thenational.com.pg/are-political-parties-ideological/. Bill Standish, "Papua New Guinea in 1999-2000", The Journal of Pacific History 36, No 3 (2001), 295. Special Reference By Fly River Provincial Executive Council; Re Organic Law on Integrity of Political Parties and Candidates  PGSC 3; SC1057 (7 July 2010); Henry Tandep Okolo, "A Critical Review of Papua New Guinea's Organic Law on the Integrity of Political Parties and Candidates: 2001-2010", SSGM Discussion Paper 2012/5, 1, http://ssgm.bellschool.anu.edu.au/sites/default/files/publications/attachments/2015-12/2012_5_0.pdf. "PNC Party Leads with 52 MPs", The National, 16 November 2016, http://www.thenational.com.pg/pnc-party-leads-52-mps/. Freddy Mou, "Wingti, Pato, Parkop and Kaupa arrive in Alotau", PNG Loop News, 30 July 2017, http://www.looppng.com/elections/wingti-pato-parkop-and-kaupa-arrive-alotau-63938. Freddy Mou, "DSIP Funds Keeps MPs Intact with O'Neill, Says Sungi", PNG Loop News, 10 May 2016, http://www.looppng.com/content/dsip-funds-keep-mps-intact-pm-o%E2%80%99neill-says-sungi. Quintina Naime, "50 percent of DSIP Fund to be Paid this Month", PNG Loop News, 9 August 2016, http://www.looppng.com/content/50-percent-dsip-funds-be-paid-month; Department of Implementation and Rural Development, PSIP, DSIP and LLGSIP Administrative Guidelines (2013), http://www.inapng.com/pdf_files/ORD%20-%20DSIP,%20PSIP%20etc%20guidelines.pdf. Department of Implementation and Rural Development, PSIP, DSIP and LLGSIP Administrative Guidelines (2013), http://www.inapng.com/pdf_files/ORD%20-%20DSIP,%20PSIP%20etc%20guidelines.pdf; S Howes, AA Mako, A Swan, G Walton, T Webster and C Wiltshire, A Lost Decade? Service Delivery and Reforms in Papua New Guinea 2002-2012 (Canberra: The National Research Institute and Development Policy Centre, 2014), 128-134, http://devpolicy.org/publications/reports/PEPE/PEPE_A_lost_decade_FULL_REPORT.pdf. Organic Law on Provincial Governments and Local-level Governments 1998, sections 95A and 95B; Naime, "50 precent of DSIP fund to be paid this month". Sally Pokiton, "Judges to Increase", PNG Loop News, 30 May 2017, http://www.looppng.com/png-news/judges-increase-59926. PNG Judiciary, http://www.pngjudiciary.gov.pg/about-the-courts/judges; http://www.pngjudiciary.gov.pg/national-court; Sally Pokitan, "Judiciary Launches Online Case Listing", PNG Loop News, 24 April 2017, http://www.looppng.com/png-news/judiciary-launches-online-case-listings-57415. John Logan, "A Year in the Life of an Australian Member of the PNG Judiciary", SSGM Discussion Paper 2015/16, 9, http://ssgm.bellschool.anu.edu.au/sites/default/files/publications/attachments/2016-07/dp_2015_16_logan.pdf. Polye v O'Neill  PGSC 65; SC1547 (1 November 2016); Namah v Pato  PGSC 1; SC1304 (29 January 2014); In re Application by Ila Geno  PGSC 2; SC1313 (28 February 2014). Namah v Pato  PGSC 1; SC1304 (29 January 2014). Marape v Paraka  PGNC 118; N5740 (1 July 2014) . In re Reference to Constitution section 19(1) by East Sepik Provincial Executive  PGSC 41; SC1154 (12 December 2011), . Oseah Philemon, "Independent Judiciary Is Key for PNG: Judge", The National, 2 February 2010, http://www.thenational.com.pg/independent-judiciary-is-key-for-png-judge/. Bal Kama, Reports from PhD Field Interviews with Legal Academics, Lawyers, a Supreme Court Judge and Government Officials, March 2015; Meggie Palmer, "Dirty Money: How Corrupt PNG Cash is Reaching Australia", SBS Dateline, 23 June 2015, http://www.sbs.com.au/news/dateline/story/dirty-money-how-corrupt-png-cash-reaching-australia; Deputy Chief Justice Salika's further observations on this point: "In PNG, we have become good at mouthing-off tired legal, constitutional and political principles, rendering them mere platitudes that are respected more in their breach than observance. The usual victims are: the presumption of innocence; Constitution is supreme; the doctrine of separation of powers; independence of the judiciary; and, last but not the least, the rule of law." Reference to Constitution section 19(1) by East Sepik Provincial Executive  PGSC 41 . Gelu, Lupari and Liu v Somare  PGNC 166; N3526 (17 November 2008), . "Fraud and Corruption Offences Track Launched", EMTV News, 31 March 2014, http://www.emtv.com.pg/news/2014/03/fraud-and-corruption-offences-track-launched/. Constitution of the Independent State of Papua New Guinea 1975, section 183(2); Organic Law on the Terms and Conditions of Employment of Judges 1978, section 2. Constitution of the Independent State of Papua New Guinea 1975, section 183(4). Constitution of the Commonwealth of Australia 1901, section 75. Organic Law on the Terms and Conditions of Employment of Judges 1978, section 2. "Fraud and Corruption Offences Track Launched", EMTV News, 31 March 2014, http://www.emtv.com.pg/news/2014/03/fraud-and-corruption-offences-track-launched/; Alexander Rheeney, "O'Neill Breaks a Solemn Promise so Newly Given", PNG Attitude, 5 April 2012, http://asopa.typepad.com/asopa_people/2012/04/oneill-breaks-a-solemn-promise-so-newly-given.html; Online user 'Devon' comments on http://www.looppng.com/content/judge-sakora-voluntarily-steps-aside-judge-while-denying-allegations. Sally Pokiton, "2017 Legal Year Opens", PNG Loop News, 30 January 2017, http://www.looppng.com/png-news/2017-legal-year-opens-51227. Stefan Armbruster, "Shooting Deaths Mar PNG Election as Observers 'Alarmed' By Roll Irregularities", SBS News, 24 July 2017, http://www.sbs.com.au/news/article/2017/07/24/shooting-deaths-mar-png-election-observers-alarmed-roll-irregularities. Rowan Callick, "Judge Steps In to Protect PNG Police Chief after Claims his Actions 'Border on Treason'", The Australian, 18 December 2011, http://www.theaustralian.com.au/news/world/somare-appointee-found-legal-commissioner/news-story/9262b1f8cce983f71af0fa4ddb533b92. Jenny Hayward-Jones, "PNG: O'Neill Survives, Rule-of-Law Suffers", The Interpreter, 19 June 2014, https://www.lowyinstitute.org/the-interpreter/png-oneill-survives-rule-law-suffers. "Commissioner Baki clears air on closure of fraud squad office", Post Courier, 16 May 2016, http://postcourier.com.pg/commissioner-baki-clears-air-on-closure-of-fraud-squad-office/; "Vetting conditions on PNG fraud squad seen as suspicious", Radio New Zealand, 12 May 2016, http://www.radionz.co.nz/international/pacific-news/303730/vetting-conditions-on-png-fraud-squad-seen-as-suspicious. Helen Davidson, "Papua New Guinea Police Barricade Anti-Fraud Squad Head's Office, Say Reports", The Guardian, 18 April 2016, https://www.theguardian.com/world/2016/apr/18/papua-new-guinea-police-barricade-anti-fraud-squad-heads-office-say-reports; Bal Kama, "Some Clarification from the Courts in PNG PM's 'Fight to the Very Last Breath", DevPolicy Blog, 4 July 2014, http://devpolicy.org/some-clarification-from-the-courts-in-png-pms-fight-to-the-very-last-breath-20140704-2/; Rowan Callick, "Ex-PNG Minister Paul Tiensten Gets Nine Years Jail", The Australian, 1 April 2014, http://www.theaustralian.com.au/news/world/expng-minister-paul-tiensten-gets-nine-years-jail/news-story/d723de126aa6cd3431213e8be8712c74; Bal Kama, "A Victory over Corruption in PNG", The Interpreter, 4 April 2014, https://www.lowyinstitute.org/the-interpreter/victory-over-corruption-png. Criminal Code (Amendment) Act 2013, sections 5 and 6, http://www.parliament.gov.pg/uploads/acts/13A_06.pdf. Liam Fox, "PNG Police Commissioner Launches Legal Action against Disbanded Corruption Body", Pacific Islands Report, 8 June 2017, http://www.pireport.org/articles/2017/06/08/png-police-commissioner-launches-legal-action-against-disbanded-corruption-body. PNG Constitution 1975, sections 117 and 217. Eric Tlozek, "PNG Election: Constitutional Watchdog Intervenes after Election Ends in Controversy", ABC News, 29 July 2017, http://www.abc.net.au/news/2017-07-29/pngs-watchdog-intervenes-as-election-ends-in-controversy/8755588. PNG Constitution 1975, sections 27-31. Gorethy Kenneth, "OC Directives to Continue during Election Period", Post Courier, 1 May 2017, http://postcourier.com.pg/oc-directives-continue-election-period/. PNG Constitution 1975, section 19. For instance, in the following cases, Reference by the Ombudsman Commission of Papua New Guinea  PGSC 10; SC1058 (4 June 2010); In Re Reference by the Ombudsman Commission of Papua New Guinea  PGSC 40; SC1088 (17 December 2010); Internal Security Act; Reference by the Ombudsman Commission, Re  PGSC 9;  PNGLR 341 (4 May 1994). PNG Ombudsman Commission, Ombudsman Commission's Submission on the Proposed Amendments to the Leadership Code, 08 May 2009, http://actnowpng.org/sites/default/files/OC%20Submission.PDF; Keith Jackson, "People Urged to Oppose Maladina Amendment", PNG Attitude, 27 March 2010, http://asopa.typepad.com/asopa_people/2010/03/people-urged-to-oppose-maladina-amendment.html. "Concern over 'Acting' Nature of PNG Ombudsman Appointment", Radio New Zealand, 5 August 2016, http://www.radionz.co.nz/international/pacific-news/310235/concern-over-acting-nature-of-png-ombudsman-appointment. PNG Constitution 1975, section 217; Interviews conducted with OC Staff, 25 March 2016, as part of my PhD research. Freddy Mou, "Government Influences Appointment of Officers: Polye", PNG Loop News, 18 December 2016, http://www.looppng.com/png-news/government-influences-appointment-officers-polye-48555. PNG Constitution 1975, sections 190-193. Public Services (Management) Act 2014, section 27; Public Services (Management) Act 2014 - Public Services (Management) (Employment of Departmental Heads) Regulation 2014, section 6. "Amendments to the Constitution and Organic Law Concerns Commission", PNG Loop News, 28 July 2016, http://www.looppng.com/content/amendments-constitution-and-organic-law-concern-commission. Public Services (Management) Act 2014 - Public Services (Management) (Employment of District Administrators) Regulation 2014. Julianna Waeda, "Kondra Did Not Authorise Payments, Court Told", PNG Loop News, http://www.looppng-sb.com/content/kondra-did-not-authorise-payments-court-told. "Should Women Have Reserved Seats in Parliament? ", The National, 21 August 2017, http://www.thenational.com.pg/women-reserved-seats-parliament/. Christina Stewart, "Papua New Guinea's Constitution: The Fatal Flaw", Outrigger: Blog of the Pacific Institute, 5 October 2012, http://pacificinstitute.anu.edu.au/outrigger/2012/10/05/papua-new-guineas-constitution-fatal-flaw/. For example, Singapore and Cook Islands: see Cook Islands Constitution, section 31. Bill Standish, "Papua New Guinea in 1999-2000", Journal of Pacific History 36, No 3 (2001), 285, 295. Stephen Howes, Andrew Anton Mako, Anthony Swan, Grant Walton, Thomas Webster and Colin Wiltshire, A Lost Decade? Service Delivery and Reforms in Papua New Guinea 2002-2012 (2014), 133-134, http://devpolicy.org/publications/reports/PEPE/PEPE_A_lost_decade_FULL_REPORT.pdf. District Development Authority Act 2014, section 12. "Amendments to the Constitution and Organic Law Concerns Commission". Interviews with a Judge and senior state and private lawyers, 22-29 March 2016 (data from author's PhD field research). Bal Kama, "Judicial Setbacks for the PNG Anti-Corruption Movement", ANU College of Law, 14 December 2016, https://law.anu.edu.au/news-and-events/news/judicial-setbacks-png-anti-corruption-movement; PNG Constitution 1975, sections 25, 109 and schedule 1.5. Palmer, "Dirty Money: How Corrupt PNG Cash is Reaching Australia". Constitutional Amendment (No 40) (Independent Commission Against Corruption) Law 2014, http://www.parliament.gov.pg/uploads/acts/14C_40.pdf. Ghai, Law, Government, and Politics in the Pacific Island States, 247. Freddy Mou, "DSIP Keeps MPs Intact with O'Neill, Says Sungi", PNG Loops News, 10 May 2016, http://www.looppng.com/content/dsip-funds-keep-mps-intact-pm-o%E2%80%99neill-says-sungi. Richard Scullion, Roman Gerodimos, Daniel Jackson and Darren Lilleker (eds), The Media, Political Participation and Empowerment (New York: Routlegde, 2013), 117. Reilly, "Political Engineering and Party Politics in Papua New Guinea", 701; "Party Hopping Debate: Gelu Clarifies", EMTV News, 18 June 2016, http://www.emtv.com.pg/party-hopping-debate-gelu-clarifies/. Bal Kama is a sessional lecturer at the Faculty of Business, Government and Law, University of Canberra, and a Doctorate (PhD) candidate at the Australian National University College of Law. His PhD thesis focuses on the relationship between the judiciary and the parliament in Papua New Guinea. Bal is admitted as a legal practitioner in the ACT Supreme Court. He has a Graduate Diploma in Legal Practice from the College of Law Sydney and a double degree Bachelor of Laws (Honours)/Bachelor of Arts (International Relations) from the University of Canberra. Bal was a consultant to the United Nations Women (UN Women) prior to his PhD studies and is the recipient of the 2016 Commonwealth Pacific Young Leader award.